Fountain Creek Restoration at SH 47 — THK Associates, Inc. Following severe flooding in 2013 and 2015, much of the floodplain and Creek area around the State Highway 47 bridge sustained erosion and damage. The nearly year-long project to restore the Creek and protect the bridge stability was a partnership between the FCWFCGD and CDOT. 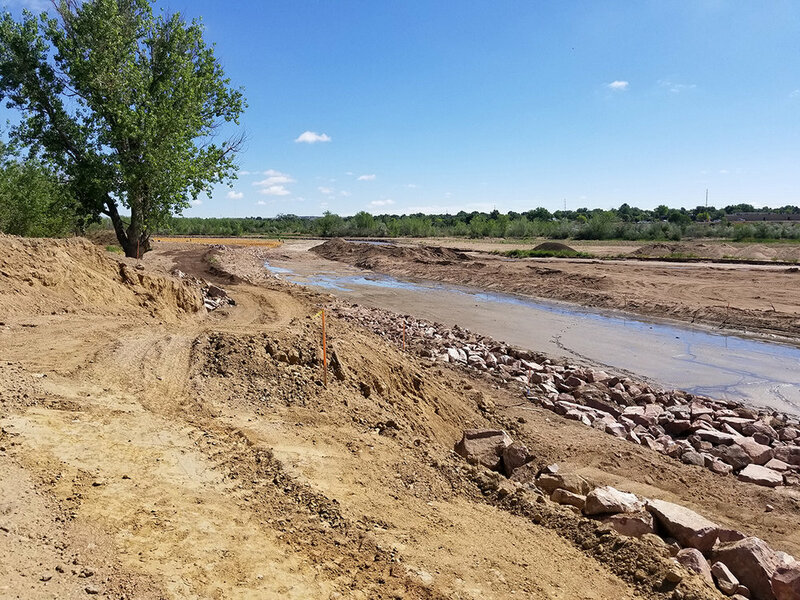 Project goals included realigning the channel to a more natural configuration, re-engaging the floodplain, protecting the banks from movement and erosion, protecting the SH 47 bridge structure and revegetation efforts. In addition, the project removed large amounts of debris along the banks including trash and vehicles. The project used rock lined banks to re-establish a natural sinuosity of the creek channel. In addition, a guide bank and creek realignment were tools used to protect the bridge structure.